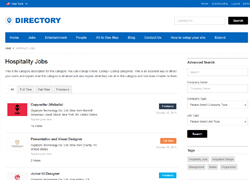 Add job listings with submission and power job search. Create the ideal job portal using the Jobs plugin add-on which includes jobs listings, custom job search, unique job submission form and custom widgets. 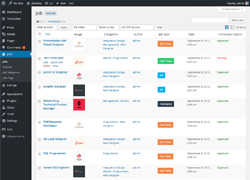 The Jobs plugin has been designed to add job board functions to your website. This powerful plugin is compatible with Directory and all of its child themes. 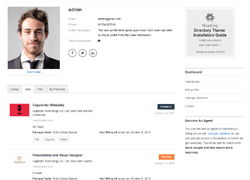 Once installed, your users will now be able to search and submit job listings. 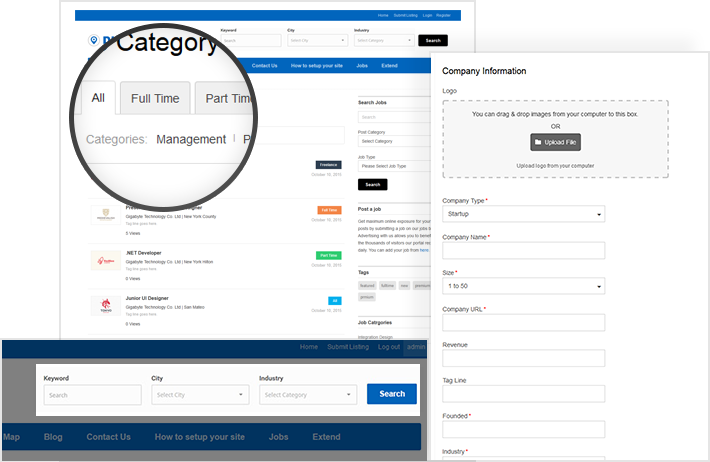 Integrating this Jobs plugin with your existing website is literally a few minutes away. 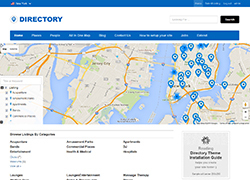 Click here to see a Directory-powered Jobs website in action! Having a job portal on your directory is sure to attract even more visitors to your website. 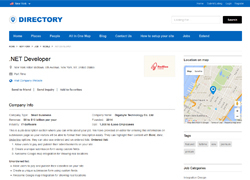 With the constant demand for jobs, your directory also having job listings is sure to drive even more traffic to your site. Imagine not only will your website be appearing in Google results for listings, it will also show job listings. Employers and employment agencies will see this and love to advertise vacancies on your site. As with the regular listings, the Jobs plugin gives you the freedom to create new submission packages. You are in full control with the pricing and duration too. You can create independent free and paid packages just for jobs if you like. This jobs plugin generates a new form for job submissions on your directory so you can decide to have unique pricing just for jobs. Submit Jobs From Front end and backend. Set different price for each job category (optional). Translate into any language with WPML. Send job to a friend. Save jobs feature for jobseekers for quick reference. Job application via email or with the link provided by employer. No need to do more than simply activate the Jobs plugin on your website. This plugin just need to be activated and you’re almost ready to go. The setup is made easy with the sample data which you can insert. Decide on the job categories you want, setup the submission packages with the prices and you have the best jobs portal. 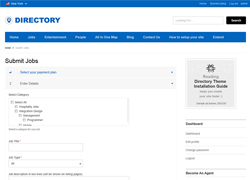 You need one of our Directory themes to use this plugin. All price options are billed yearly at discounted price. You may cancel your subscription at any time.